While I was at this year’s Architectural Digest Design Show, I saw and fell in love with so many cool and beautiful things, but never really had the time to distill the day’s many photos into a proper wrap up of the event as a whole. 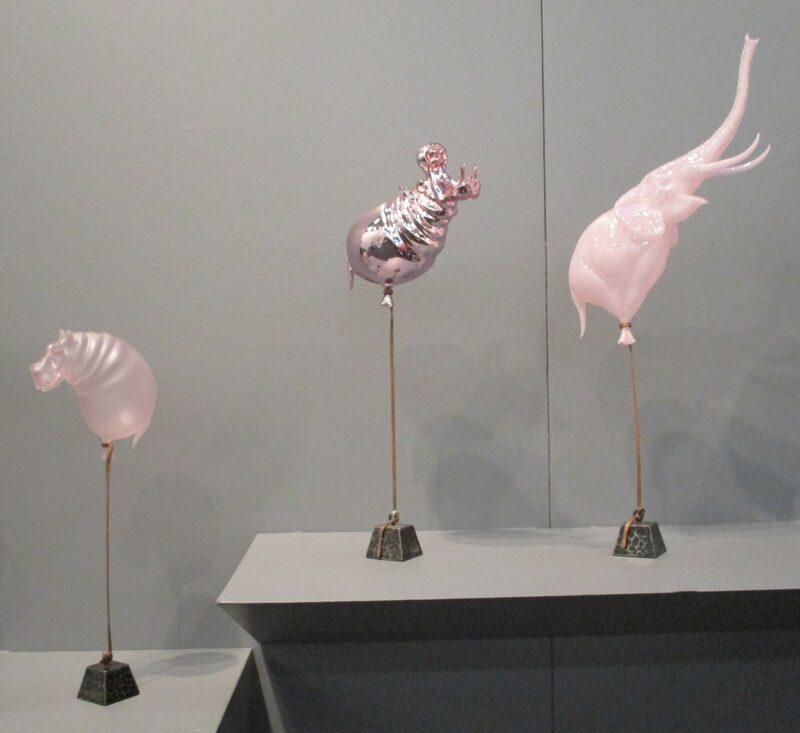 Fortunately, it’s never too late to find a way to feature some of a my favorite photos from the show; in this case, several items I saw in the booth hosted by Chesterfield Gallery, who specialize in fine glass art. 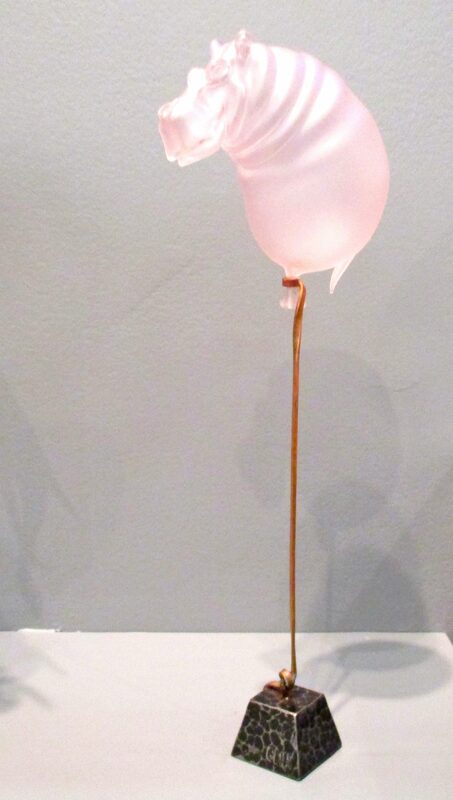 Hangry is a hand-blown glass hippopotamus affixed to a copper wire with a steel base, and it’s part of American glass artist Chris Ahalt’s balloon animal series. 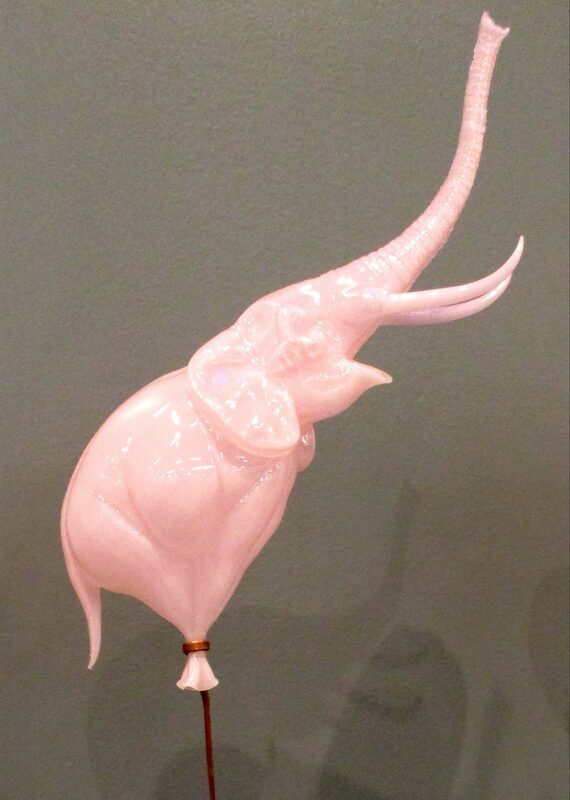 There is a cool Pink Elephant also. Chesterfield Glass Art is Based in Northampton, Massachusetts. Visit them on the Web at This Link! 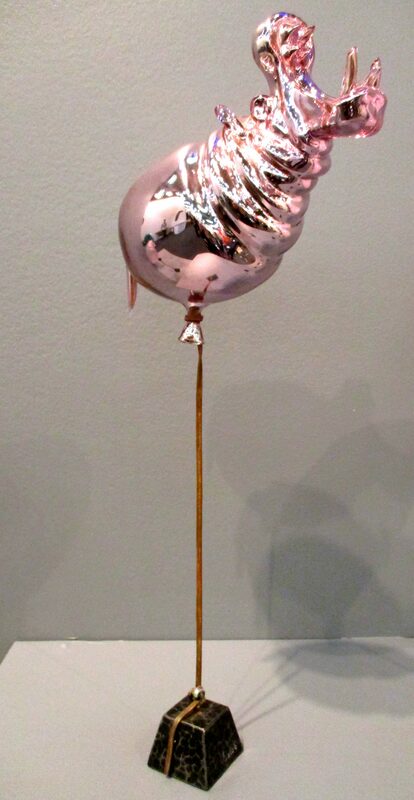 ← Lyons Wier Gallery Presents: Jae Yong Kim’s Pop Goes The Donut!